One thing that we have always enjoyed about wedding photography is that each wedding is so unique. Each wedding has different cultures and different aesthetics that makes this career both challenging, but also very enjoyable. Each wedding photo shoot always has something different and new. 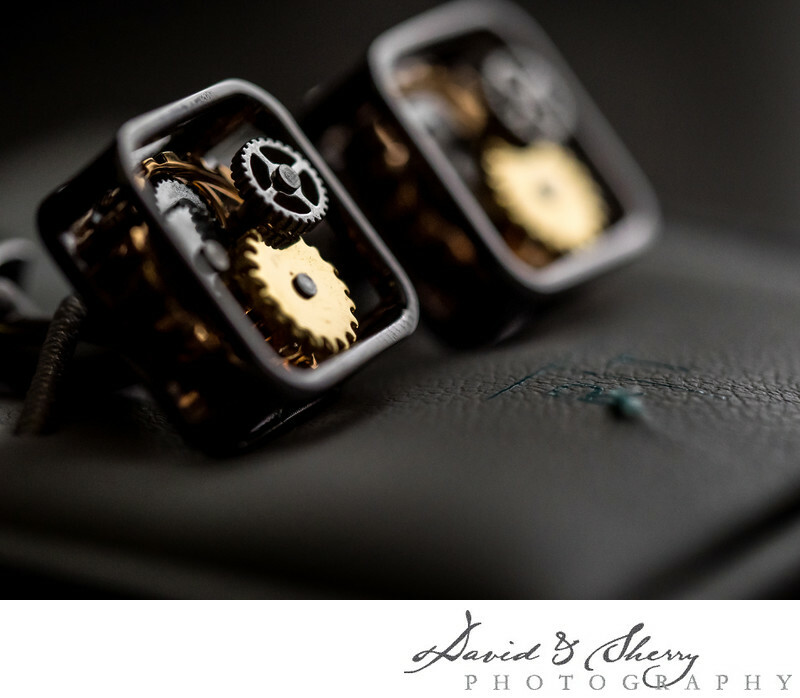 In this particular wedding, one of the things that caught our eye was these cufflinks that the groomsmen received as gifts. These cufflinks were in a steampunk style, and were very intricate. Originality of weddings are crucial to the overall authenticity and aesthetic of a wedding, and moreover the diversity of the wedding photo shoot. Fortunately for us, we have never been able to say "you've seen one wedding, you've seen them all", as many would assume taking in the specialty of our field. In fact, nothing could be further from the truth. Each wedding has its own individuality. Be it through the venues that the bride and groom use, or the desired aesthetic of the wedding, every wedding is different. As wedding photographers, we enjoy looking for these differences, these individual tastes and details that the bride and groom leave on their wedding to set their special day apart from all other weddings. For us, it is though it is a treasure hunt, searching diligently through the entire wedding for the best photos, the finest of details that ultimately make their special day, one in a million.